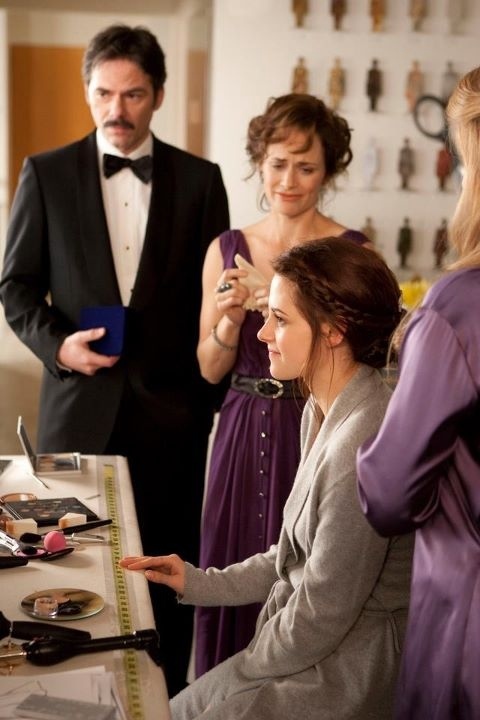 New Breaking Dawn Still - Bella, Charlie, Renee. They look soo happy for bella :). HD Wallpaper and background images in the Robert Pattinson & Kristen Stewart club tagged: kristen stewart 2011 breaking dawn hq. This Robert Pattinson & Kristen Stewart photo might contain 商务套装 and 西装.